News of Baca’s recent awards has attracted international recognition with exciting commissions for work in Belgium, Dubai and Doncaster. Media attention has also been growing with recent coverage in France and Germany as well as closer to home. In 2014 Baca won the AR/MIPIM future masterplanning award. This has lead to commissions in Belgium and the UK. In 2015 Grand Designs revisited the Amphibious House to see the final finished building in all its working splendour. In 2015 Baca won the NLA award for ideas to tackle the housing crisis. 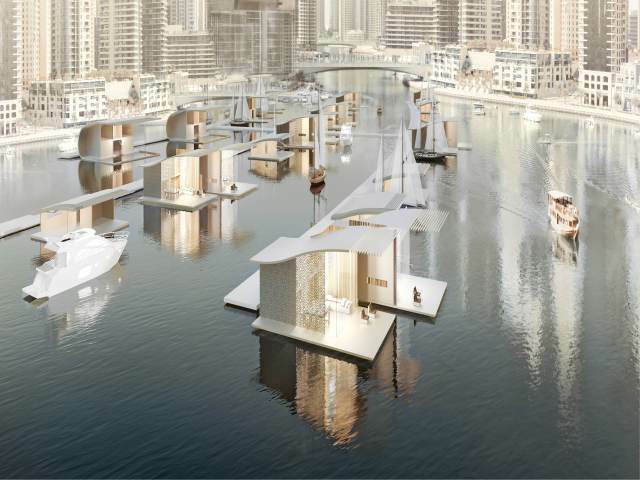 This has lead to an invitation to design a floating village in Dubai, which the team are currently working on with ARUP international.